Stalker Sport Radar is a high quality basic radar. Its technology is based on Doppler technology that is also used by police. It can handle ie. a moving tennisball, a speeding car or even airplane. 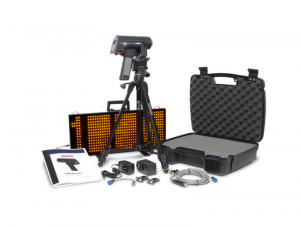 The radar is lightweight, easy to use, reliable and easy to connect to display devices, making it ideal for public events and training sessions. Sarco Oy is the official representative of Stalker radars and Finland. We deliver a turnkey service for speed measurement equipment, including the creation of necessary reports to the appropriate authorities (in Finland). We also offer flexible maintenance and calibration services for the products. 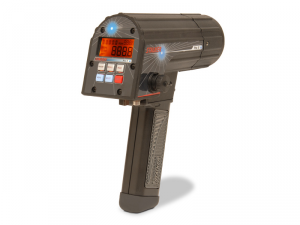 Basic Sport Radar is best suited for situations when measuring individual objects, eg. Disk, ball speed of a car or a person. The device is widely used in sports clubs exercises, Carting–lines and a number of other situations. The package is best suited for the situation where the need for a clear display of information to the public or trainees. The three-digit display shows clearly speeds up to 400 km. Battery Operation enables easy portability to there where equipment is needed. Package runs 12 on battery.